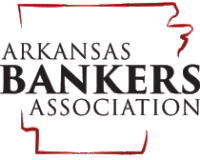 LITTLE ROCK— Economics Arkansas is this year’s recipient of a grant from the Barber Law Firm Century Fund. The educational nonprofit organization promoting economic literacy in Arkansas schools received $5,000 to support its teacher grant program to fund economic and financial literacy projects in grades K-12. Wilson presented a check for $5,000 to Economics Arkansas during the nonprofit organization’s board meeting and Bessie B. Moore awards luncheon at the Great Hall of the Clinton Presidential Center on Nov. 7. The money will support the annual 2013-14 Teacher Grant program, which makes grants available of up to $750 each to incorporate economic or personal finance concepts into the classroom curriculum. Popular projects funded by these grants are “classroom stores” to illustrate supply and demand, costs, budgeting, choices, scarcity and more. The Century Fund was launched by the Barber Law Firm in 2010 in honor of the firm’s 100th anniversary. It is designed to benefit Arkansas nonprofit organizations with social, educational, medical, cultural or philanthropic missions to enhance the overall quality of life in the state. Funded with a portion of the firm’s annual earnings, it is expected to generate close to $8 million in charitable contributions over the next century, with a final distribution of $250,000 by 2110. Past recipients of a grant from the Century Fund include the Diabetes Research Working Group at Arkansas Children’s Hospital (2010), Centers for Youth and Families (2011) and the Arkansas Repertory Theatre (2012). The 2014 grant cycle is scheduled to open in June. The Little Rock-based Barber Law Firm was founded by A.L. Barber in 1910. A full-service legal firm, it serves as counsel and litigators to individuals and many of the largest and most successful companies in Arkansas and around the world. Economics Arkansas (through the Arkansas Council on Economic Education) is a private, non-profit, non-partisan educational organization founded in 1962 by Dr. Bessie B. Moore to promote economic literacy in Arkansas. Its mission is to promote economic literacy and the economic-way of thinking to PreK-12 students in Arkansas by empowering educators to teach the fourth “r,” real life economics.